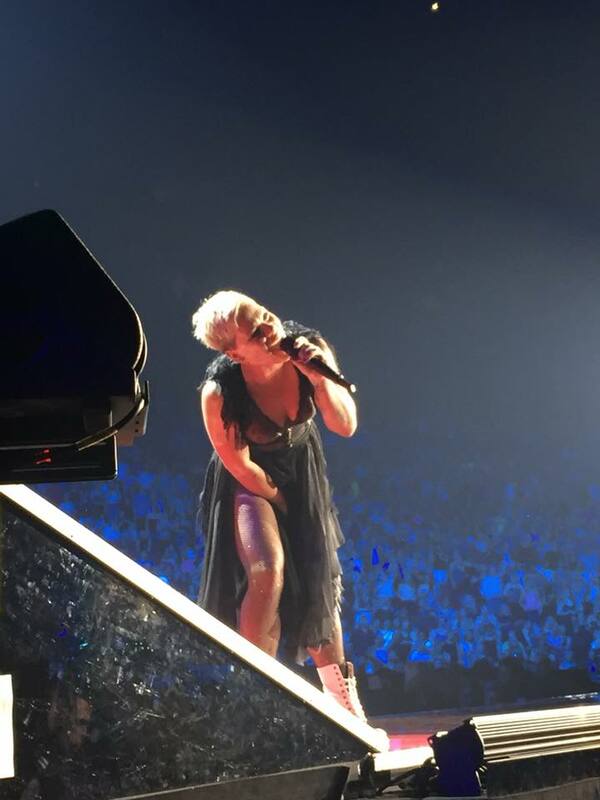 If only we could all sing like Pink! 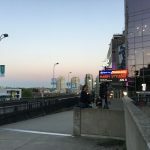 | Sabrina C.
I write this, nearly 48 hours after the P!nk concert has ended and there’s still a ringing in my ears and I find myself humming her tunes all day long. 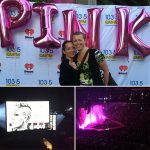 I’ve always liked Pink’s music and most importantly her vocals but I had never considered myself a fan until….. the release of “Just give me a reason”. I loved the fact that the song was a conversation between two people who love each other so deeply that they were committed to talking things through. This resonated with me as I have always felt that should distance or anything else ever happen in my marriage, we would be able to fix it by being honest with each other and reflecting on the situation. From that moment and on, I have been on the lookout for any new songs and new work that she has to present to us. 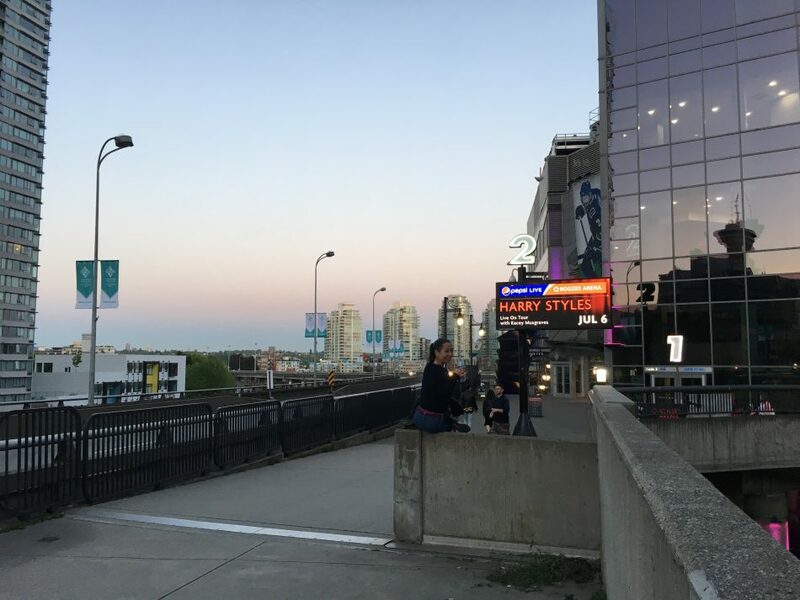 So when I heard that The Beautiful Trauma World Tour was stopping to Vancouver, I got a bit excited! I am not one to spend couple of hundred dollars on a concert so I knew that getting affordable tickets would be a challenge. I still remember sitting in my office on Tuesday, 10th October 2017 and telling my colleague that exceptionally, I would need to take 15 min of “personal time” at exactly 9:55 am. The hope was that the fan code received the day before would allow me to grab two of the presale tickets. Browser open from 9:55 am, I kept refreshing the page until….I got lucky. Yes, it paid off, two “sparkly” & “glittery” – to reference to what could be perceived as last Saturday night theme – tickets fell into my lap and I was now committed in going. What a joy! My early elation does not even compare with my feelings at and after the concert. The pop star was spectacular and gave us a mesmerizing show. I won’t lie. I did get a little worried 20 min into the concert. I am not sure why Pink’s tour producer and/or choreographer would choose to feature two cover songs back to back and then follow by what I would call a cirque du soleil act. I usually enjoy acrobatic performances but if the swirling, mid air suspension and twisting get in the way of the artist actually singing, I say no! Thankfully, it appeared to have been the only lip synching song and this 10 min offset did not take away from the rest of the marvelous and electrifying two-hour performance. Through dynamic but controlled stunts, thoughtful staging, vocal juggernaut and personal touches, Pink full-stage production ensured that all of us got our money’s worth. 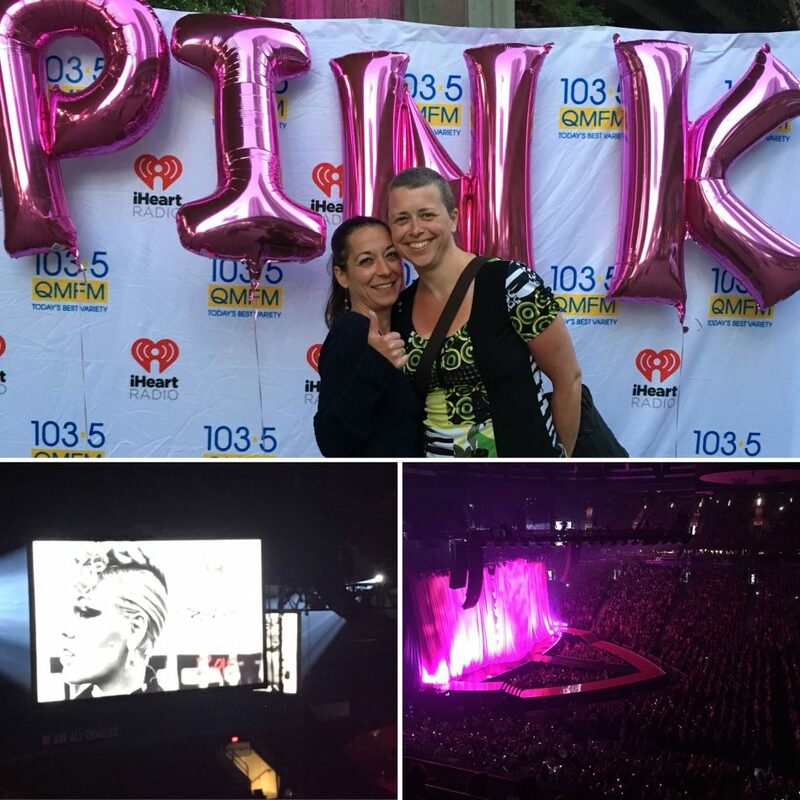 The way Pink introduced herself to the 12-year old kid who started a social media camping to sing with the artist at Rogers Arena. “Hi, I am Alicia” – how true is that? So please if you heard (and probably read) the stories about how the kid stole the show or how this young girl experience “changed” her life etc. let me simply share that the fundamental of this moment was Pink’s introduction. It was honest, out of the blue and completely unexpected but yet, I have not read one article about it. I do realize that nowadays we have to empower youngsters and make them feel that they are invincible but to me, the unconventional interaction showed more about who Pink (as a person) is than the young lady ability to sing. 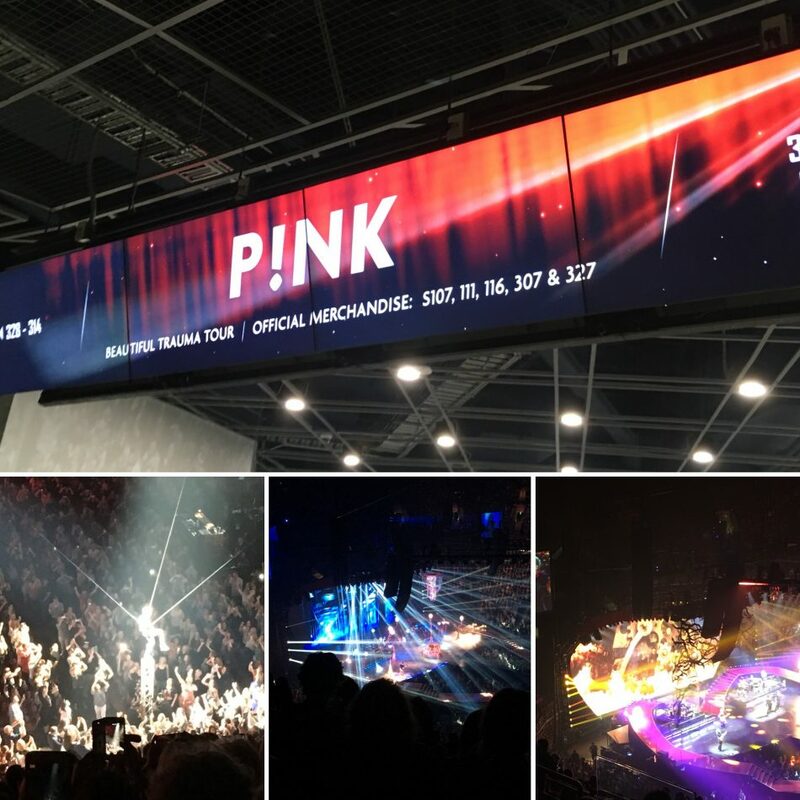 The tour is far to be finished and for those who haven’t heard, Pink will be back in Vancouver in April 2019. So don’t wait and grab the chance to get yourself an amazing & powerful night. You will not regret it.